UCD HAD TO scrap its allocation system for some rooms on campus after the process failed to work as intended. It has now apologised to all students affected by the situation. The university had attempted to use an email system for the allocation of rooms on campus for existing students on a first-come, first-served basis that involved students sending an email. A student who used the system told TheJournal.ie that there are 257 places reserved for existing students, and they were to send an email to residence after the opening time of 9am on 11 June. The student said that under the system, students would be given a number based on how close to 9am the residence staff received the email. They were also told that there would be 50 offers given out each day from 18 June. However, the student noticed there might have been issues when her email to UCD, sent earlier than a friend’s, was given a higher ranking than her friend. But as her number was below the 275 limit, she had the lease on the house she had previously lived in during college cancelled. After the first 50 offers were sent out, students were then told that the offers had been temporarily suspended. The student told TheJournal.ie that she feared at one stage this meant she was effectively homeless. Unfortunately the process did not provide a reliable ranking. We apologise sincerely to all the students affected by this problem. The University explained that more than 10,000 emails from 2,500 individual students were logged in the first three minutes, but the system “did not deliver a reliable ranking of emails as we had anticipated”. We also discovered that a number of students’ emails were not included in the published ranking. “Considerable efforts have been made to correct the ranking but the results are still inconsistent and we cannot validate the outcome,” said UCD. The university has now decided to take another approach. It has resorted to a random allocation of 638 room offers to the full data list of names received up to the deadline of 5pm Friday 13 June. An email of this notice has been sent to all students on this list confirming that their application for accommodation was received and that they have been included within the list for the random allocation of places for accommodation. The random allocation process will take place on Thursday, 10 July and students will be able to view the resulting ranking online on the same day. The room offers process will resume on Monday, 14 July. The university said that in an attempt to make amends to affected students, it has decided to bring forward the allocation of an additional 144 rooms, which are currently under refurbishment and will become available in January 2015. These rooms, for semester two, will be offered on a random basis to this group of students once the allocation is complete. Students with queries are able to contact the team UCD Residences Support at residences@ucd.ie or by phone on +353 1 7165772/5773. 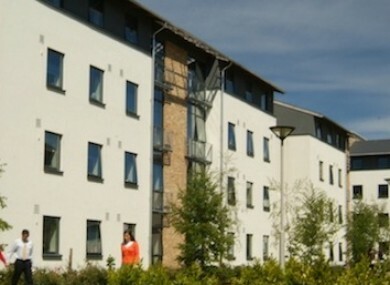 Email “UCD housing system fails after students send 10,000 applications in 3 minutes”. Feedback on “UCD housing system fails after students send 10,000 applications in 3 minutes”.